Girl Talk was awesome, no surprise. 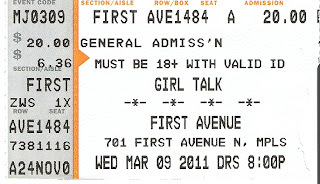 This was the 4th time I saw Girl Talk live and it was the 2nd of 2 sold-out shows at First Ave. Again, Eric was my date for the night and we both had a blast. 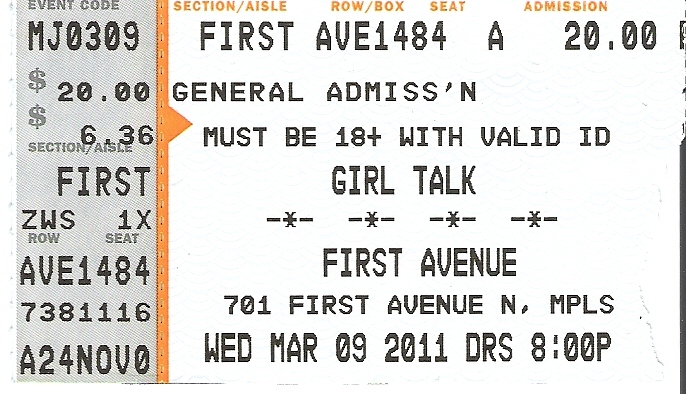 I have to say this was probably the best show I'd seen of Girl Talk. The energy and the setting were perfect. I think he ended up playing at least an hour and a half or more, but we could have stayed a lot longer. What an awesome show!